It has somehow already been eight years since Avatar, the highest-grossing movie ever made, arrived in theaters. Despite the crazy time gap, James Cameron has actually been dedicating much of his time in the years since to getting Avatar 2, and the other planned sequels ready to go. There are some who feel that the 11-year gap that will exist by the time Avatar 2 finally arrives on December 18, 2020 will hurt the movie. But not James Cameron. The director recently spoke with CNN in honor of Disney World's Pandora: The World of Avatar expansion. James Cameron was asked about what is taking so long with the Avatar sequels, of which there are four, and if he is worried. It turns out, he isn't and he seems more than confident that things will work out. Here's what he had to say about it. "It was a seven-year gap between The Terminator and Terminator 2: Judgment Day, seven year gap between Alien and Aliens. It's gonna be obviously more like a ten year gap between Avatar and Avatar 2. But Avatar 2 you are going to with not the promise, but the certainty of three more films beyond that, and that's a very different concept with the audience. And a lot of the delay has been around creating that overall vision." James Cameron does make a good point about the long gaps that exist between Terminator 2 and Aliens as compared to when the first movies in those franchises came out. And, not for nothing, but Terminator 2 and Aliens are arguably two of the best sequels ever made, so James Cameron definitely knows what he is doing in that respect. Another thing that he rightfully points out is that this isn't just one movie we are waiting on. It's four. Avatar 2, Avatar 3, Avatar 4 and Avatar 5 are all going to shoot at the same time and are all being planned with equal importance. So the long wait is going to bare a lot of fruit. Pandora: The World of Avatar has at least helped bring Avatar back into the public consciousness, which should help. Also, after years of talking about it, Avatar 2 is finally going to actually start shooting later this year, barring another setback that is. Once that train gets moving, it isn't likely to stop. 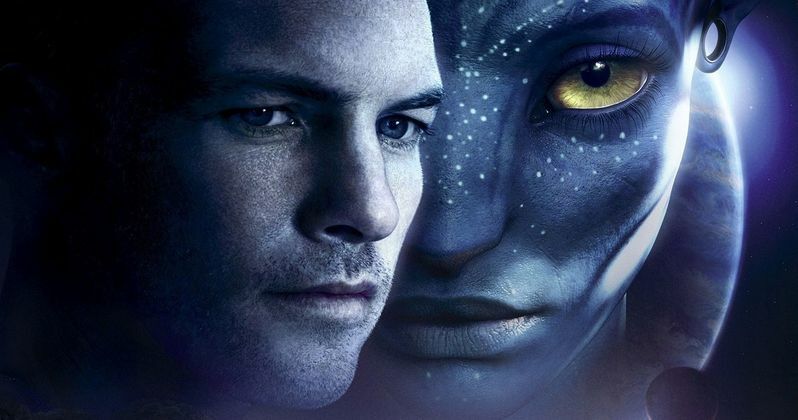 So those who are still interested in seeing a sequel, or four, to Avatar will actually have something concrete to get excited about in the not-too-distant future. Avatar 2 is going to be bringing back Sam Worthington, Zoe Saldana, Sigourney Weaver and Stephen Lang, while also bringing in plenty of new cast members, such as the recently added Cliff Curtis. We also know that the new movies, or at least Avatar 2, are going to take place largely underwater and, if James Cameron has his way, they will work out "glasses-free" 3D before the final sequel comes out. Fingers crossed. That may make all of this waiting worthwhile because, let's face it, even if you don't love Avatar, seeing real 3D would be pretty awesome.